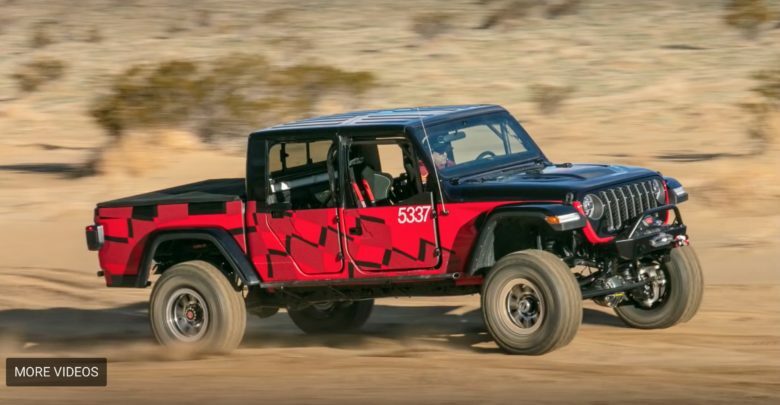 The Jeep Gladiator, modified and piloted by the guys at Savvy Off Road, has completed the grueling Every Man Challenge event at King of the Hammers off road race (watch complete race video with sections marked for the Gladiator). Catch the race footage inside to see how the Gladiator looked at high speed, hill climbing and rock crawling, as well as reactions from its drivers. Update: Here is even more Gladiator video footage!